Interested in politics? Sure you are! 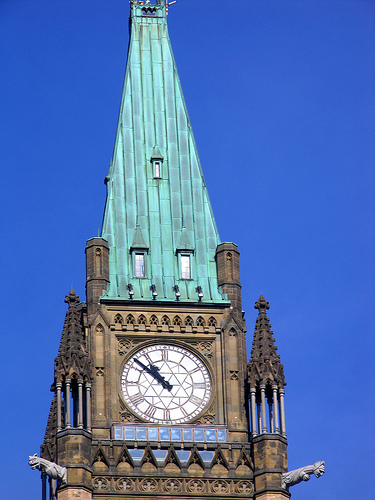 Made up of 308 Members of Parliament (MPs), the House of Commons is arguably the most visible arena of Canadian politics. It’s where bills are born and often fiercely debated (until they die because of prorogation). But just how many Aboriginal voices ring across those hallowed halls? Good ask! A total of 28 Aboriginal MPs have been elected to the House of Commons over the years, beginning with Conservative member Angus McKay (Metis) way back in 1871! Check out the full list on the Parliament of Canada website. 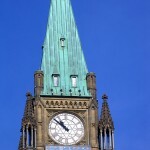 Consisting of 105 members appointed by the Governor General (on the advice of the PM), the Senate is the upper house of Parliament, aka the “sober house of second thought.” Here, bills are sent for scrutiny before either being returned to the House of Commons to become law, or outright rejected. (Bills are only occasionally first introduced in the Senate). So how many Aboriginal people are in the Senate? Glad you asked! As of April 2010, just six of the 105 (non-elected) Senators are Aboriginal: two Conservative, two NDP, two Liberal. How balanced! All together, 15 Aboriginal people have sat in the Senate, beginning with Conservative Richard Charles Hardisty (Metis), way back in 1888! While all the yelling and hammering of the House may seem exciting (and definitely gets the most airtime), much of the actual work of government takes place in Committees. This is where policies get reviewed, budgets hashed out, and reports get produced. In the House of Commons, issues relating to Aboriginal people are discussed in (where else?) the Standing Committee on Aboriginal Affairs and Northern Development (AANO). As you can see, only two AANO committee members are Aboriginal. Five members, or nearly half, of this 12-person Committee are Aboriginal. So there you have it. Depending on who you ask, Canada’s Parliament is either much browner than they thought, or altogether way too brown for their liking. Regardless, it can be interesting stuff for political wonks like me and — if you’ve read this far — you too!